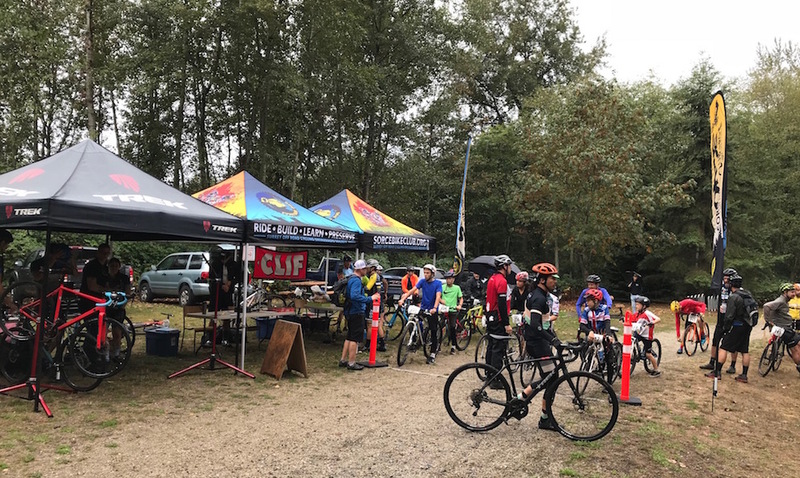 A moist Sept 9th morning greated 43 Shed Toonie CX racers to the Delta Watershed park for some pre-season CX racing. Cap's South Shore was on hand with full mechanicall support that came in handy for several racers. 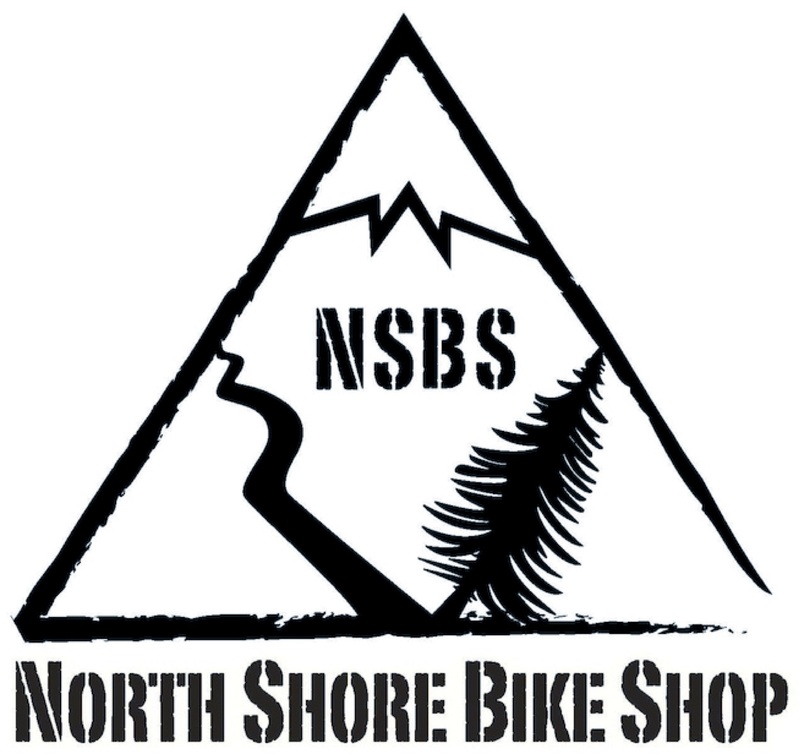 3 categories - Beginner with mtn bikes allowed for a 20 minute race, Intermediate with CX bikes for 30, and Expert for 40 minutes. The well received course had everything a CX racer would love - infield twisty grass, forest buff trails, loose gravel, ripping fast double and single track loam, with a river crossing for added challenge, (ok a stream). 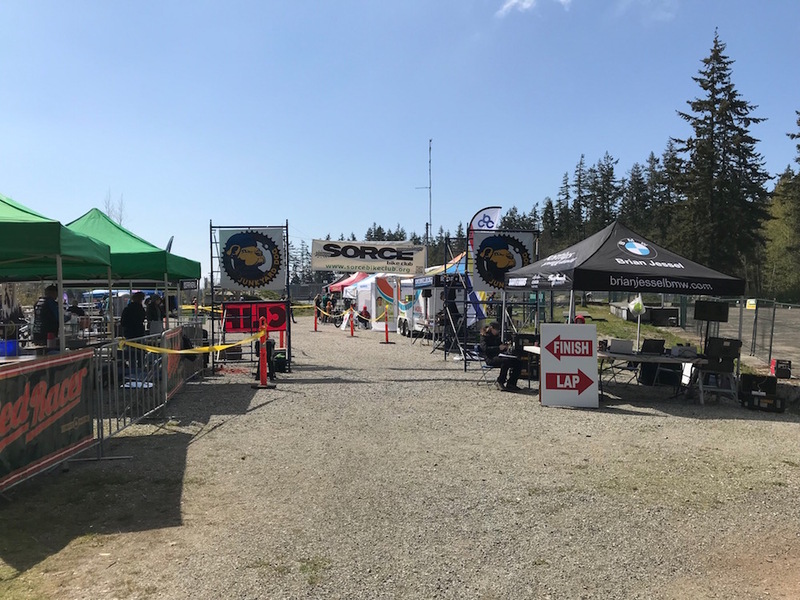 Cap's South Shore gave out some great swag, Clif Bar provided an assortment of bars, Nitro Lube had chain lube samples for everyone, Pulled pork with coleslaw on a bun was served, and medals were handed out at the podium! A GREAT start to the CX race season! 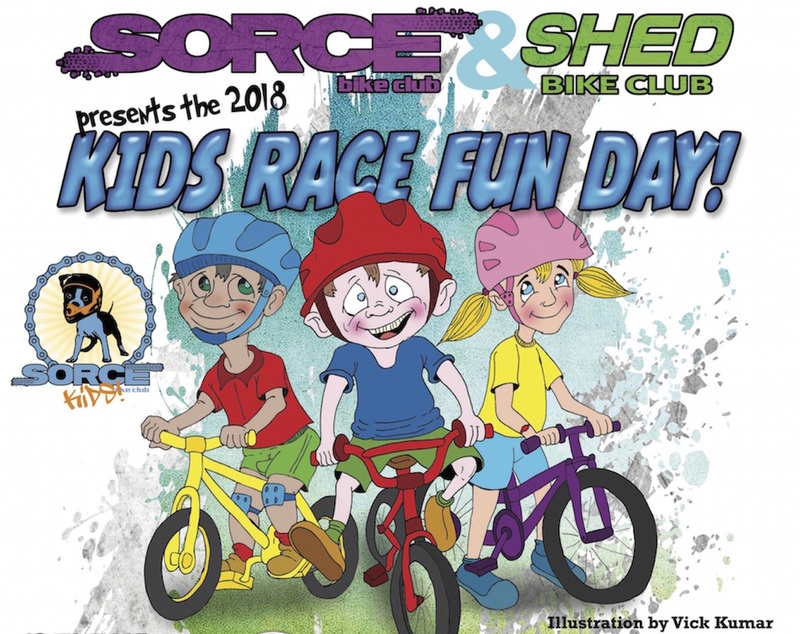 The 2018 SORCE Kids Race Fun Day is all set to go on Saturday Sept 15, with registration open at 9am and the race at 10am. Bouncy castle courtesy of Physiomoves, facepainting, medals, pizza, Clif Kid Organic Z Bars and cool prizes from The Bike Zone. PLEASE register online by renewing your membership for 2018 and on Webscorer for the race. Kids t-shirt available while they last. The CX season is about to begin and there is no better way to get warmed up than the Cap's South Shore CX Toonie Race - for only $2. Our 2nd CX race at the Shed will feature some trails with only smaller CX obstacles, great down hill trail sections on gravel paths, and the infield at the Meadows for grass and barriers. 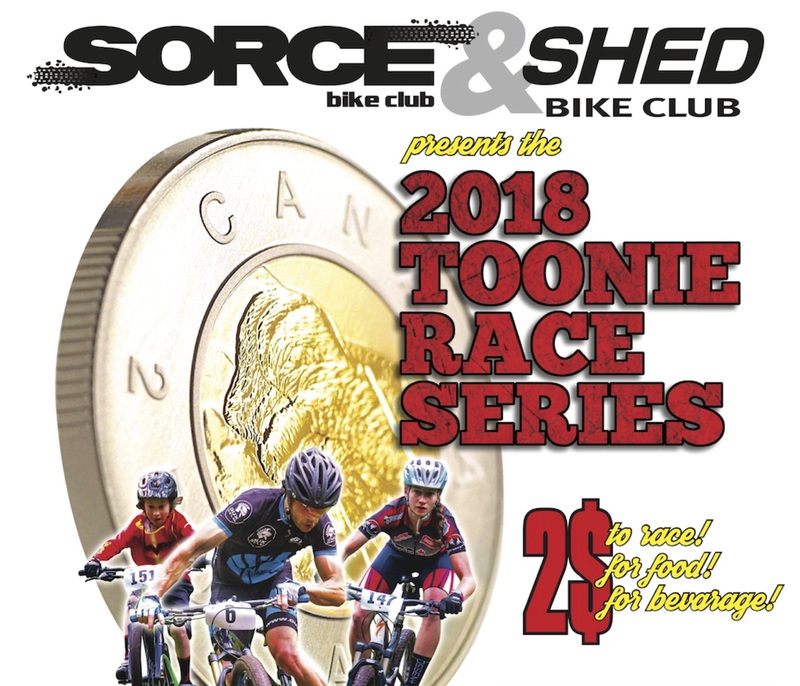 The 4th race of the Toonie Race Series is a Cyclocross race and it's this Sunday, Sept 9. Meet at The Meadows - 9am to register and 10am first race start. 3 categories - Beginner 20mins with mtn bikes ok, Intermediate 30mins CX bikes only, and Expert 40 mins CX bikes only. Cap's South Shore Cycle will have some cool swag and full mechanical support! 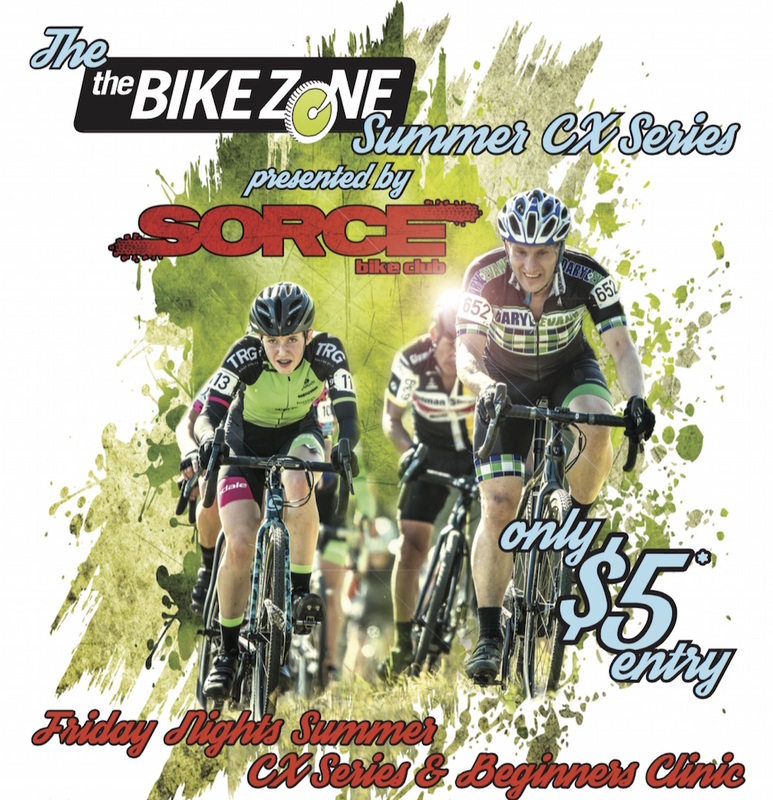 The Bike Zone Summer CX Series race #3 is this Friday, July 27. Join us post race for complementary beverages from Central City Brewery! Be sure to pre-register. Full details HERE. 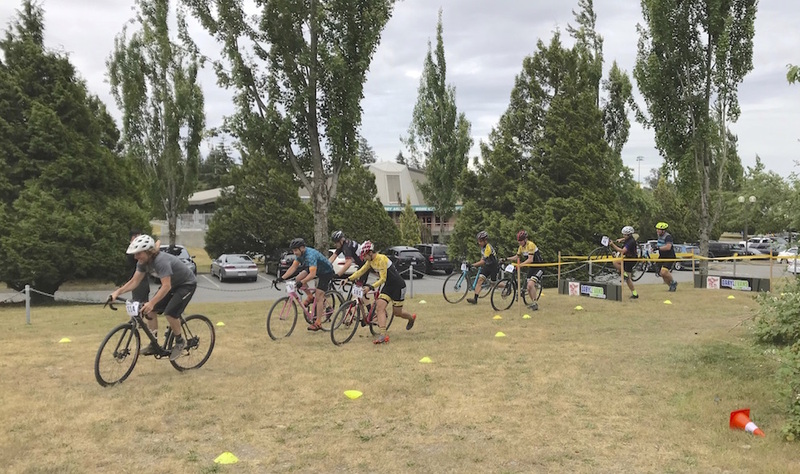 The Bike Zone Summer CX Series got off to a great start on Friday June 22. 30 racers took part in the series first race with 17 riders taking part in the beginners clinic. Many of the racers also raced in the 2nd race making for a great race. The Bike Zone hosted an after party at their store with complimentary beverages from our sponsors Central City Brewery. We will do the same for all the races. This Friday, July 6 is race #2. Do pre-register on Webscorer to help us out on race day. Details HERE. 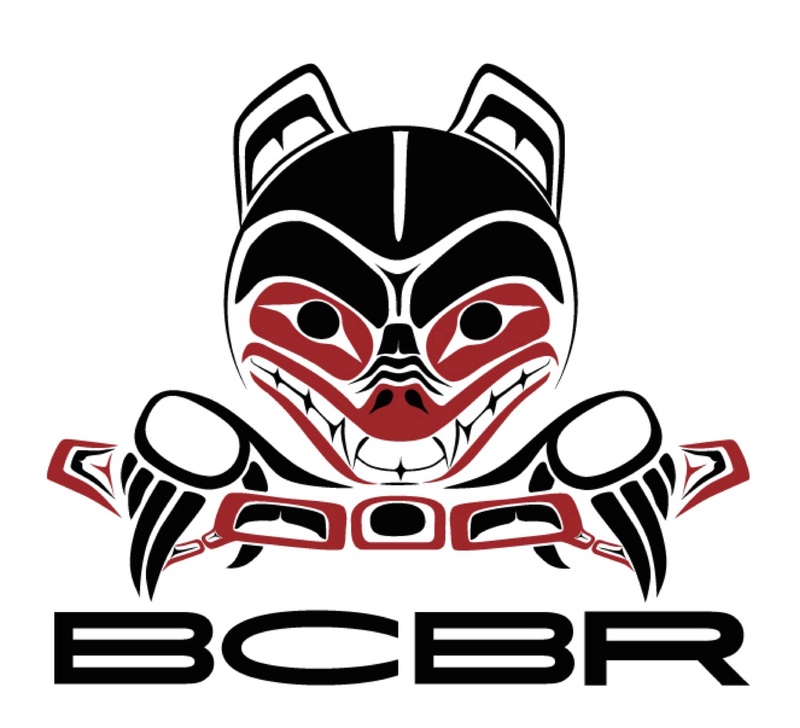 THE PREMIUM mountain bike race in BC, if not North America, the BC Bike Race is fast approaching for the week of July 5-14. 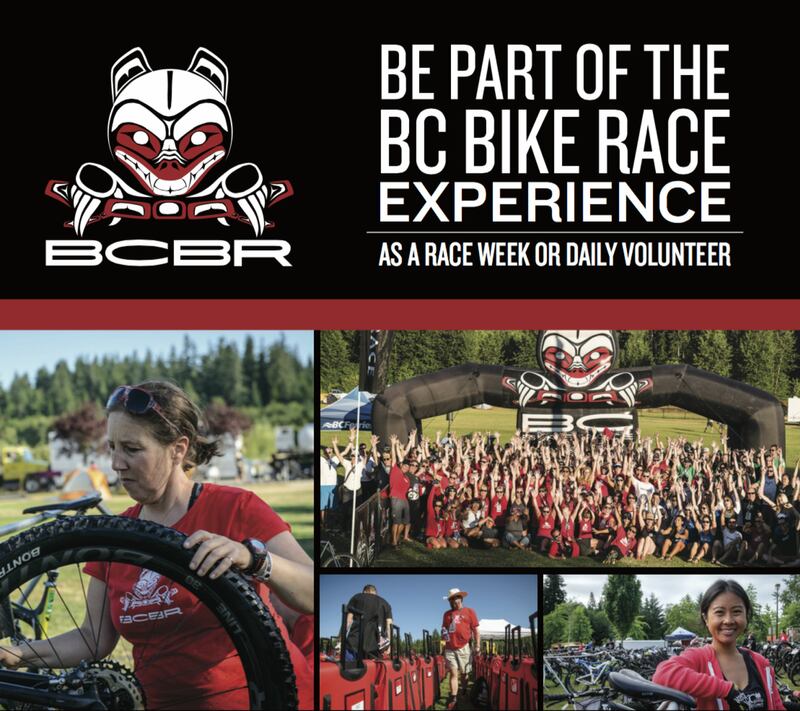 Volunteers needed for each day, or the entire event, whether on Vancouver Island, the Sunshine Coast, North Vancouver, Squamish, or Whistler. An exceptional race experience that needs the help of many volunteers. Full details HERE. These super casual races are designed for beginners and experts alike. Beginners get a clinic and a 20 minute novice race to try out those new skills. Intermeddiates have a 30 min race with Experts a 40 min race of their own to hone your skills, take in the casual atmosphere and just have a fun time on Friday night. 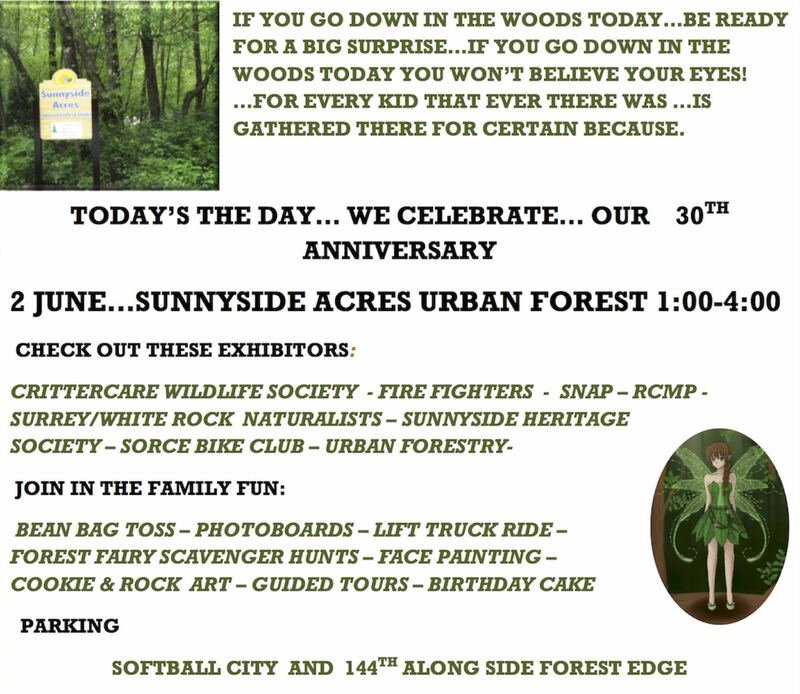 Join us this Saturday, June 2 at Sunnyside Acres 1-4pm, to celebrate 30 years of urban forest excellence! SORCE will be there with our new tents, displays and the JYD board game. With a lack of interest of participants and a number of scheduling conflicts, we have reluctantly cancelled the Invergarry Pump Track Race schedlued for May 26. 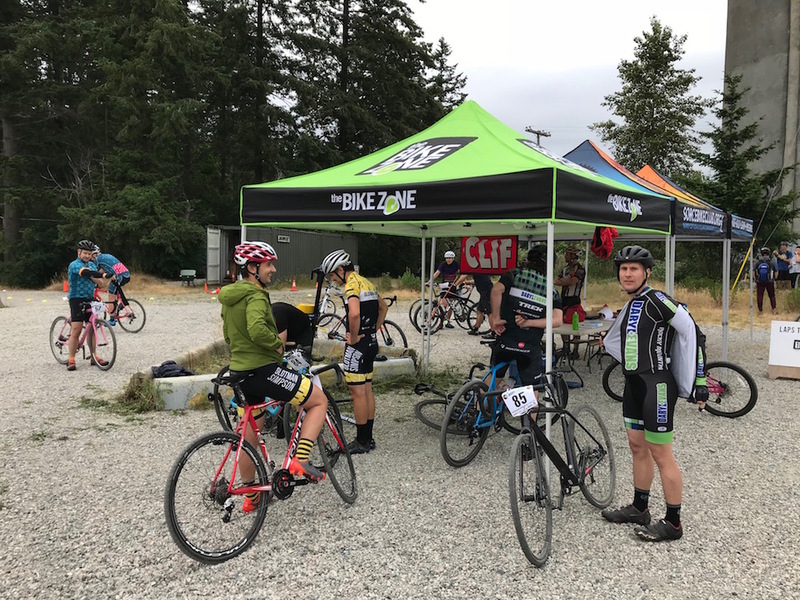 The Bike Zone Shed Toonie XC Race #1 - 30 racers! Vancouver Bike Show 2018 - Best Ever!